Here's a snippet: "When Willis was in school, he had trouble understanding math with fractions. His mother had him cut up apples to work out problems with them. This taught Willis that he could solve problems if he just broke them down into simple pieces." This book gives steps for young inventors to take when they get a great idea. It also includes a timeline, a glossary called words to know, books and websites, and an index. Yours for Justice, Ida B. 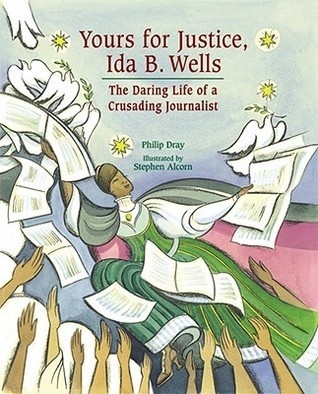 Wells: the Daring Life of a Crusading Journalist by Philip Dray is a picture book biography of the enterprising African American woman who began life as a slave and then went on to become a teacher and journalist who exposed the evil practice of lynching. "Her aunt lowered the hems of Ida's dresses and taught her to put her hair up. When she saw herself in the mirror, Ida couldn't believe her eyes: she looked like a grown-up!" The back-matter includes additional information about Ida, lynching and a bibliography. The title is the signature Ida used for her writing. 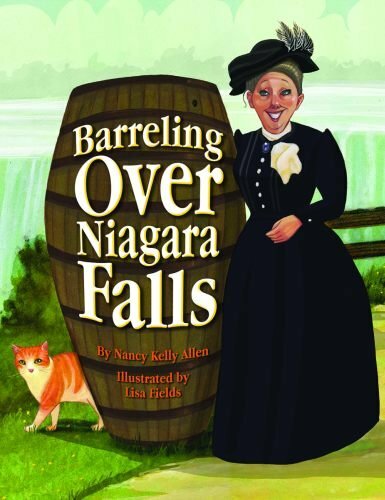 Barreling Over Niagara Falls by Nancy Kelly Allen is a picture book biography about Annie Edson Taylor, a woman of big dreams. As a child she dreamed of becoming a music teacher and did. And then she got an even bigger idea. "Annie would do what no one had ever done-ride over Niagara Falls in a barrel." Read how she implemented her plan. The book gives a description of how she built her barrel.